That thing that has been broken in your home for all-too-long? Get up and fix it. With a simple YouTube search, almost any modern appliance can be fixed. We live in a day and age where people view almost everything as disposable, and fixing things is less common. Change this today by fixing that broke thing in your home by yourself, and you may even learn a thing or two! So you think you already know what can happen in your area? Threats are constantly changing. Check with your local crime maps to see if new patterns are emerging. Check your 100 year flood map and any new developments for river basins you live near. Threats often become problems when you are complacent and are not ready for them. Here at TruePrepper, we have ranked a few threats based on general risk– make sure you are prepared for any that could possibly affect you! Stay on your toes to avoid becoming a victim. Foraging is pretty cheap- it just requires knowledge and time. While it is best to accompany a well practiced forager, using the internet or a book to learn local edibles is not a bad plan either. Whether you are homesteading or living in a huge city, foraging is a good skill to learn. From hiking to rock climbing and rowing to marathon running, there are all sorts of ways to get exercise. Sure, you can spend a ton on a gym membership or aerobics class, but it is just as easy to just get outside to get a little exercise. If you exercise regularly, you will be much better prepared for the hardships any SHTF situation will bring. Learning to tie a few knots will not be as bad as teaching a kid to tie their own shoes. Knots are extremely easy to pick up with a little practice and instruction. Check out the basic knots at Animated Knots by Grog. His animations make all the knots very easy to practice and learn. How long has it been since you reviewed your emergency plan? Have you moved or had major life changes since then? It only takes an hour or two to sit down and hash out a quick plan on what you and your family will do in case of emergency. Make sure everyone is on the same page on meet up areas and bug out locations. Key words in case of an intruder, and a designated shelter in place room are a good idea as well. Learning what gear is the best quality and will serve well is not always intuitive. Take the basic Morakniv Companion for example. They price and appearance of this knife would make you think that it is not a good knife at all, but it blows most ‘survival knives’ out of the water! Research and make sure that you understand what gear will hold up best when SHTF and you really need it. Window shopping doesn’t cost anything, and it is always best to check out multiple options before settling on one. This point is not so much learning to garden, but getting out and doing it. There are plenty of ways to garden, whether you are simply planting a vegetable plot, going vertical, or trying hydroponics. Gardening is not only a useful skill for survival, but it can save you money, be a relaxing hobby, and get you great tasting food. Even if you are not the chef of the house, you can contribute to your preparedness with a solid garden. Planning your meals ahead of time can save you a lot of money. Not only that, but you can easily ensure that the proper food groups and nutrients are in each and every meal. If you are in charge of feeding yourself or your family, take some time to plan out your meals- you won’t regret it! Whether you use a spreadsheet or a pen and a pad, making a budget doesn’t have to be hard. Balancing your income with your expenses can help you save up an emergency fund quickly. 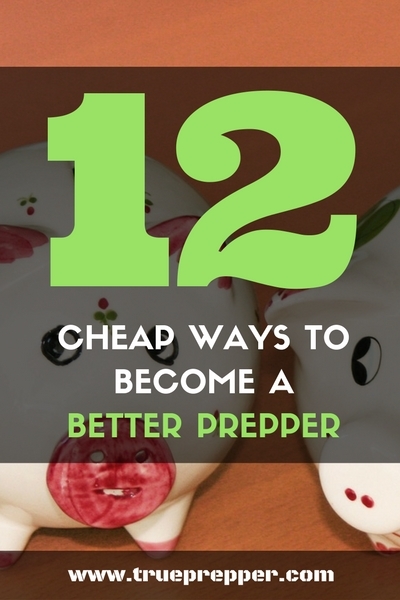 It can help you save for things you really need and help you avoid impulse buying. 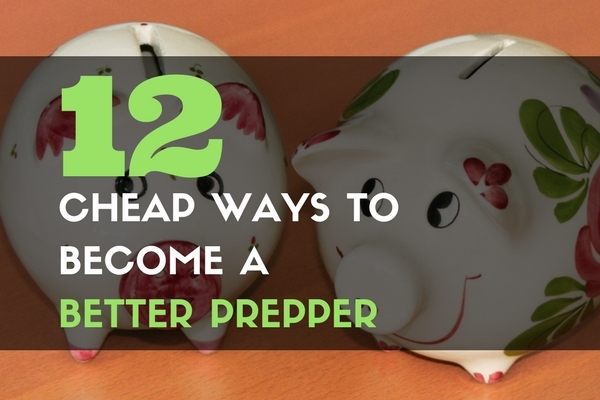 Don’t break out your wallet every time you want to become a better prepper. Take a look at the things you can accomplish without spending a dime. Keep exploring, stay prepared, and be safe. #7 sounds the or one of the most important ones you listed here. Having a nice and solid plan is a must I think. Let’s just hope we don’t have to use it irl. Great list. I’m on a very tight budget, so my goal is to become self-reliant by learning a lot that let me produce my own goods, rather than outsourcing such activities. Right now my focus is on handloading ammo. There’s a lot to know and a bit of a learning curve, but I know it will pay off in the end. That’s true about all of these tips.